This treatment is used in spring and/or fall to smother overwintering insects and egg masses. It is especially useful in controlling scale, mites and adelgids but will safely control populations of many common pests. We utilize both granular and liquid fertilizers enhanced with micro nutrients and bio-stimulants – to provide much needed nutrients and a healthier soil in general. While typically done in spring and fall, we often include specialty nutrients at other times of the year such as foliar iron supplements. 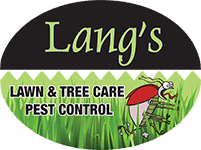 From reducing foliar fungus symptoms in spring to Japanese Beetles to late summer Bagworms & mites we’ve got you covered. We use only the latest, low-impact, formulations and keep our treatments very target specific to limit our impact on the environment at large. We DO NOT “eradicate” bugs! We carefully work to reduce populations of potentially damaging pests on specific plants. Your plan may include foliar treatments as well as soil-drench systemics which enter via the root system into the vascular system to treat the plant from the inside out. This treatment involves applying anti-dessicants to broadleaf evergreens and some conifers in order to slow transpiration rates over winter. Winds can often wick moisture from leaf tissue faster than it can be replaced due to frozen soil resulting in wind burn. We constantly utilize local agricultural resources such as the PA Department of Ag, University of Maryland, PSU and local Arboretums to keep one step ahead of pest issues as they develop. You can begin service at any time of year.